Celestial Reflections: Did James Arthur Ray Smoke Sedona's Business? Sedona Arizona, boasting four energy vortexes, has been the go-to place for spiritual seekers for decades. But its tourist business has fallen off dramatically over the past year and many are blaming the PR nightmare that was James Arthur Ray's sweat lodge debacle. But sweat lodges are now far less common, with the authorities shutting some down to avoid further trouble. And the spiritual association is pushing the importance of ethics among spiritualists. Still, the tragedy of what occurred, along with the barrage of lawsuits, has caused some outsiders to look elsewhere for fulfillment. No one is discounting that our foundering economy may account for some or all of the downturn in Sedona's business. 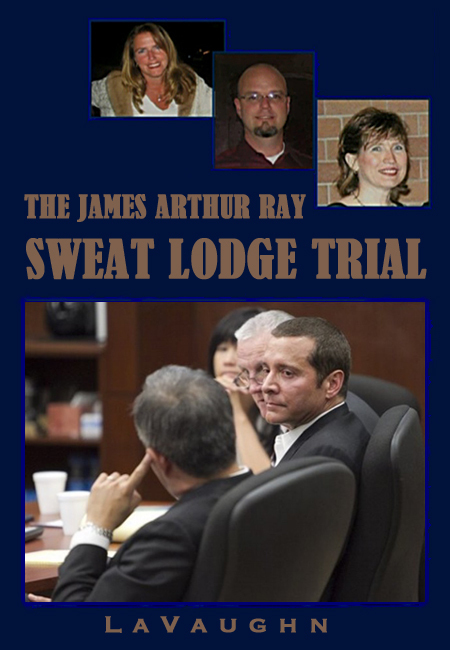 But at least one business is suing James Ray. Amayra and Michael Hamilton -- owners of the Angel Valley Ranch which hosted Ray's deadly seminar -- claim that they've been losing as much as $35,000 a month since Kirby Brown, James Shore, and Liz Neuman were baked to death on their premises. Meanwhile, however, The Hamiltons want the survivors and family members who were harmed by the incident to drop the law suits against the ranch. Their effort drew no takers, although it did rile the plaintiffs’ lawyers. The Hamiltons also came up with the idea of holding a large grieving ceremony this month for sweat lodge participants and survivors at the one-year anniversary of the deaths, and planned to use their insurance money to pay for it. They insisted, however, that all attendees agree to drop their suits. Nobody agreed, so the smaller ceremony was held. I can't help feeling that the issue of Sedona's falling stock is emblematic of a greater restructuring. The conflation of spirituality with pecuniary interest has always caused tension. As I've stated repeatedly, I don't think there is anything wrong with being paid for spiritual work. Work is work and spirit can't be divorced from anything in the material world. We all have to live within the prevailing economic model. Barter is impracticable and no more "spiritual" than any other form of material exchange. But there are businesses that are run in integrity and businesses that run on greed on exploitation. And far too much of the "new age" seems to revel in a celebration of greed that would make Gordon Gekko blush. The Secret is a prime example of an ostensibly spiritual teaching that makes wealth and materiality central to its message. James Arthur Ray openly equates poverty and illness with spiritual failing; his attempts at revisionism as his own health and money problems have been made public not withstanding. As the greater economy collapses around our ears, I'm just suggesting that it might not only be Goldman Sachs, AIG, and their ilk, that need to reevaluate their priorities.